Please fill in and submit the form below to apply to audition for all ASYO ensembles. Audition Requirements and excerpts are listed below the audition registration form. 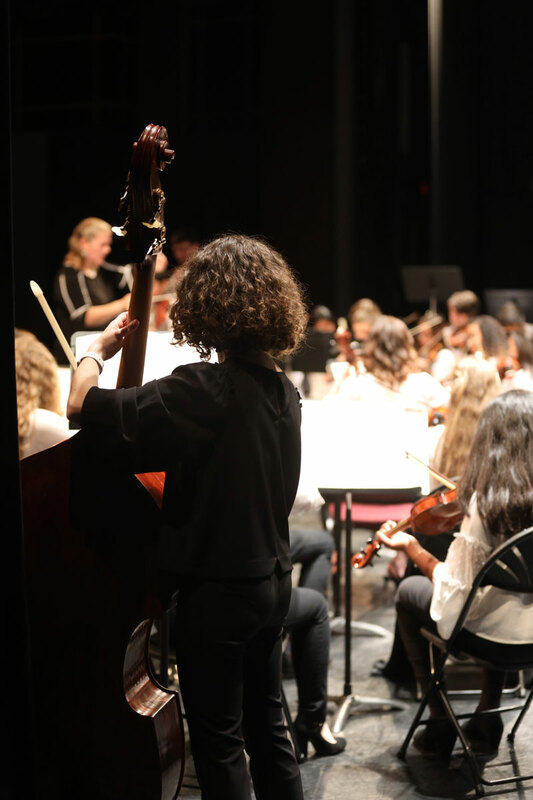 Tuition for all ASYO ensembles can be paid either at the beginning of the school year or in installments throughout the year after each student is accepted into the program. Students are additionally responsible for supporting the concerts by selling a set number of tickets for each performance. Checks should be made payable to the Asheville Symphony Youth Orchestra. The ASYO is committed to ensuring that all musicians who successfully audition for membership in the ASYO program are able to participate, regardless of financial considerations. To that end, we offer tuition waivers, reductions or special payment plans to families who demonstrate financial need. Contact ASYO General Manager Brian Garland at bjgarland@ashevillesymphony.org or (828) 771-4718. Please fill in and submit this form to register to audition for all ASYO ensembles. For students under 18 years of age: A parent or legal guardian may complete the form on a student’s behalf or the student may complete the form with the permission and supervision of a parent or legal guardian. Note: After your application is submitted, you will be contacted by an ASYO staff member to schedule your specific audition date and time. Please describe below your performance history including experience in other youth ensembles, state or honor ensembles, music camps and music honors or awards you have received. I grant to Asheville Symphony Society, its representatives and employees the right to take photographs and videos of me (if over 18) my child/legal ward (on behalf of a minor) in connection with the Asheville Symphony Youth Orchestra. I authorize Asheville Symphony Society, its assignees and transferees to copyright, use and publish the same in print and/or electronically. I agree that Asheville Symphony Society may use such photographs or videos of me (if over 18) my child/legal ward (on behalf of a minor) with or without my/their name and for any lawful purpose, including (but not exclusively) such purposes as publicity, illustration, advertising, and web/online content. Click on your instrument’s PDF to download the excerpt choices. Prepare one of the excerpts below. A prepared solo – for longer solos please cut to 2-3 minutes. If you have not studied solo repertoire, a school orchestra or band piece would be acceptable. Prepare both of the excerpts below. If you would like to audition for piccolo please prepare the piccolo excerpt as well. Prepare both of the excerpts below. Prepare EITHER excerpt 1 or BOTH excerpts 2 and 3 of the excerpts below. Percussion auditions will take place on Thursday, May 16 from 6:00-7:30 p.m. at Mars Hill University. Click here to download audition requirements and a letter from percussion instructor Dr. Brian Tinkel.